These Days, a Take That tour can be hard to come by. But fans will be Happy Now to know that the legendary British band has announced a 2019 European tour – and there are three nights in Glasgow on the cards. 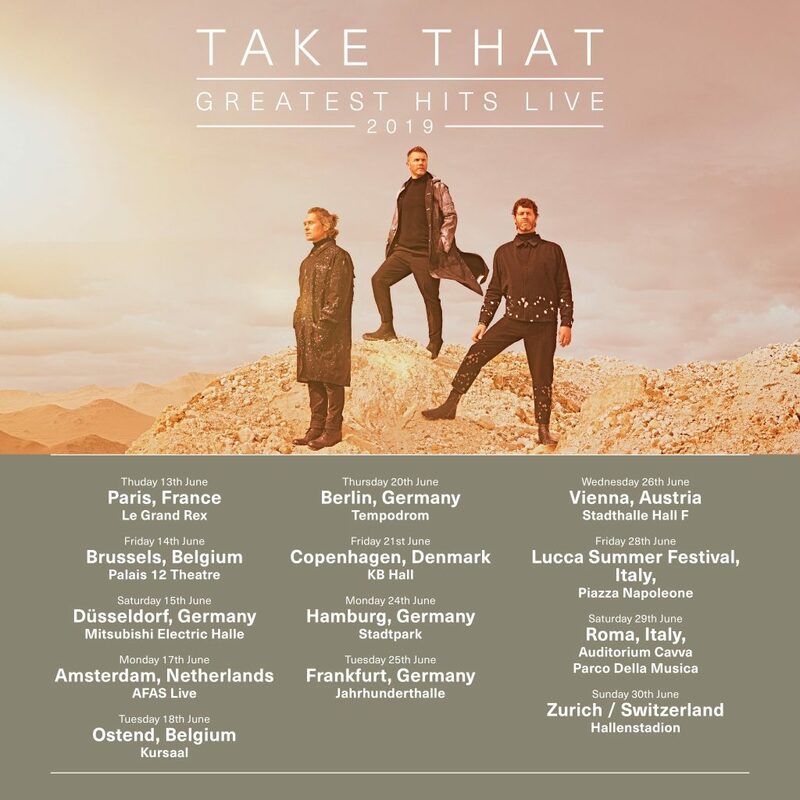 The trio, made up of remaining members Gary Barlow, Mark Owen and Howard Donald, will play the SSE Hydro, Thursday 18 – Saturday 20 April 2019. The Greatest Hits Tour will begin in Sheffield on 15 April, before heading to Glasgow. The band will then head to Manchester and Birmingham to play five nights in each city, and will Shine at the O2 in London for six whole nights of classic songs. After that, the Giants will embark on the European leg of the tour, stopping in Paris, Amsterdam, Copenhagen and Rome. Along with the news of the new tour, the band also announced their new album, Odyssey, a greatest hits album with 27 tracks, including three brand new songs. Fans who don’t have any Patience can pre-order the upcoming album and doing so will gain exclusive access to pre-sale tickets for the 2019 tour. Pre-sale tickets go on sale next week, on 25 September, with general sale being released on 28 September. Whether you’re a loyal fan who’s been with them since the beginning, or prefer their more recent tunes, a night at the concert is sure to be the Greatest Day. We Pray you get tickets! To pre-order Odyssey, or for more information, click here. Are you following us on Twitter and Instagram? Make sure you do to stay up to date on all the latest music info!